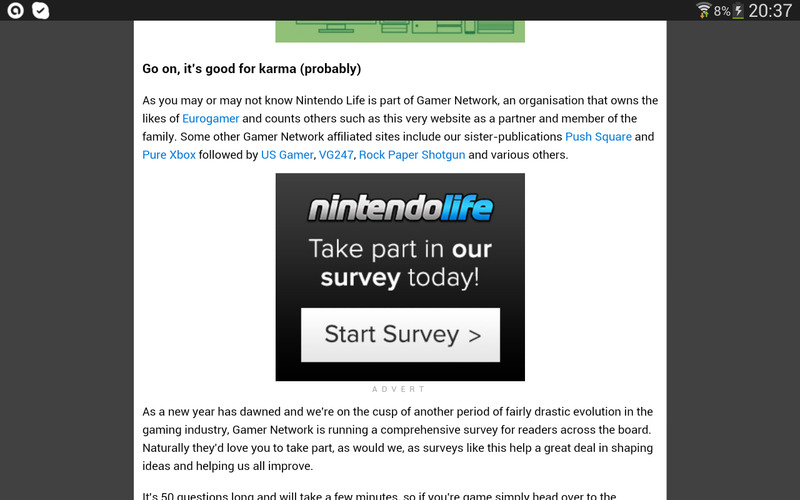 As you may or may not know Nintendo Life is part of Gamer Network, an organisation that owns the likes of Eurogamer and counts others such as this very website as a partner and member of the family. Some other Gamer Network affiliated sites include our sister-publications Push Square and Pure Xbox followed by US Gamer, VG247, Rock Paper Shotgun and various others. 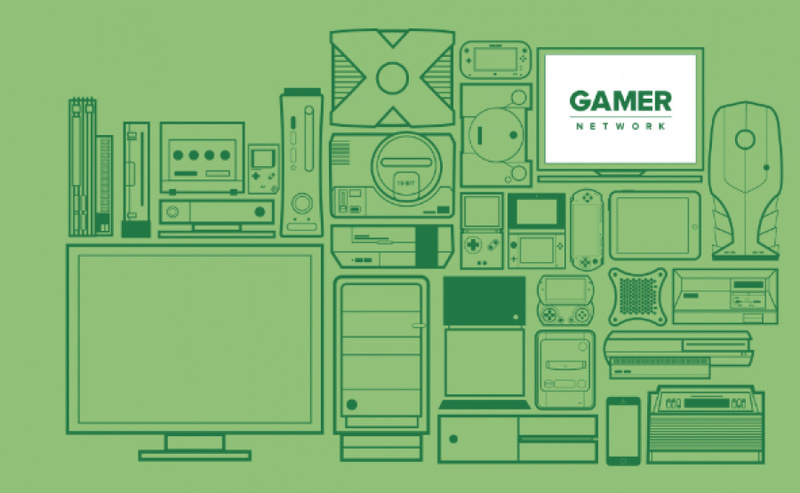 As a new year has dawned and we're on the cusp of another period of fairly drastic evolution in the gaming industry, Gamer Network is running a comprehensive survey for readers across the board. Naturally they'd love you to take part, as would we, as surveys like this help a great deal in shaping ideas and helping us all improve. It's 50 questions long and will take a few minutes, so if you're game simply head over to the survey's page to provide your anonymous feedback. Many thanks! Push Square was faster than you guys. I've already done it. @antdickens When is the site redesign coming? Alright, survey completed. That was probably the first interesting survey I've done. I also did it first on Push Square and I figured repeating it would bias the results. Done. Nintendo-con, here we come! Too late, already answered it from Push Square. I did name Nintendo Life the only gaming website I visit every day, though, so there's that. Well, I did it... even though it's likely the results will be used for evil. Since this is my favorite site I will help out any way I can seeing as I can afford to spare some time. I did it from the ad. I'm a little bit paranoid with ads that have the old "survey" word there, and I thought "If it was legit, they would ask us in an article" so... I guess it's ok? I literally bought over thirty games last year and I paid $40+ for 20 of them. THANKS NINTENDOLIFE FOR BRINGING TO LIGHT MY POOR FINANCIAL DECISIONS. Just kidding I love my game collection and buying games day one is the price you pay this gen with being a Nintendo gamer because it's not like most first party titles go down in price, they just become scarce! 1. There's a small chance that my feedback may help, and since @antdickens is running such a great site here, I'd love to help. 2. I'm one of those weird people who actually likes taking surveys. It's funny how the lowest annual income option is 10.000 GBP+ per year. I earn so much less than that. Then again, buying expensive video games is not meant for folks from sh**ty countries. That took a while, but hey, feedback. @antdickens Actually it seems I can't SurveyMonkey says I already did it. Done. Some odd questions though; I don't care about VR, so why did I have to answer 4 questions on how little I care?